What’s causing global deforestation? A new study reveals the drivers are—in order of importance—commodity crops, forestry, wildfire, agriculture and urbanization. In related news: could planting forests ease Australia’s drought; and Apple is restoring Columbia mangrove forests to sequester carbon. In Forestry news: new plant species are found in a forest near Prince George BC; FPAC calls for additional protection for the endangered caribou: wilderness group says critical habitat is being lost in BC; goats are being airlifted out of a Washington forest; and Oregon rejects ENGO call to protect the Humboldt marten. Finally, a hardwood substitute made from rice husk makes its debut in Australia; the cutting edge of forest logging is on display in Oregon; satellites and heat-sensing instruments help fight wildfires in Idaho; and pointing fingers won’t help solve Utah’s challenge. U.S.-Canada trade talks are poised to come to a head this week, as negotiators bear down on their next deadline amid President Donald Trump’s threats to cut his largest export market out of the deal. High-level negotiations are expected to resume this week in a bid to reach a deal for Canada to remain in the three-nation North American Free Trade Agreement, a Canadian government official said, speaking on condition of anonymity. Congress is pressing for Canada to be kept in NAFTA, after the U.S. and Mexico struck their own deal last month. Time is running out to reach an accord that can be signed before Mexico’s president-elect takes office. …The Trump administration — facing a fight with China, falling approval ratings and upcoming midterm elections, among other issues — has begun to show more flexibility. Softwood lumber producers are paying close attention, as trade negotiators focus on a new deal with the Americans. The dispute resolution provisions in NAFTA are also important for a new agreement on lumber, says Kenora MP Bob Nault, who also chairs the foreign affairs committee for the House of Commons. …Chapter 19 of the old NAFTA agreement outlines the dispute resolution mechanism, and it’s considered a sticking point in current talks. Nault says it’s important to keep the provisions, so Canadian businesses aren’t bullied by their American counterparts or the U.S. government. …He quickly adds no deal may be better than a bad deal, as American president Donald Trump continues to press Canadian negotiators. The Arkansas Economic Development Commission approved a $750,000 bond guaranty Thursday for a group of Texas investors to reopen a mill in Magnolia to produce cross-laminated timber. The commission approved the bond for Texas CLT LLC, an investor group in Nacogdoches. The project is expected to create about 60 jobs over the first two years, paying an average salary of about $35,000, Brant Cobb, chief operating officer of Texas CLT, said in a telephone interview. …”There is an emerging industry where people use these [cross-laminated timber] panels in buildings,” said Bryan Scoggins, director for business finance at the commission. A residence hall on the campus of the University of Arkansas, Fayetteville is being built using the technology, said Mike Preston, executive director of the commission. 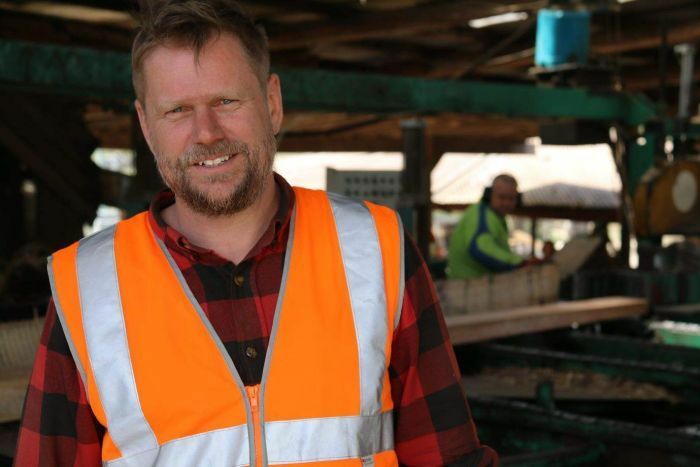 An engineered wood product made entirely from natural materials is all set to revolutionise the Australian architecture and built environment. An Australian-first, the new product, Naxan is a sustainable building material with versatile application in decking, cladding, architectural facades, hand railings, fencing, interiors and window framing among many more. Naxan, known globally as Resysta, has been introduced into the Australian market by Australian construction product supplier, TEXO. Naxan is manufactured from three core natural materials, rice husk (60%), mineral oil (18%) and rock salt (22%), using advanced technology to create an engineered wood product that looks and feels like hardwood without chopping down a tree. Naxan engineered wood can be used anywhere across detached housing construction, or mid high density residential, commercial, retail and industrial projects. …TEXO is currently receiving enquiries from a number of Tier 1 builders, developers and architects. 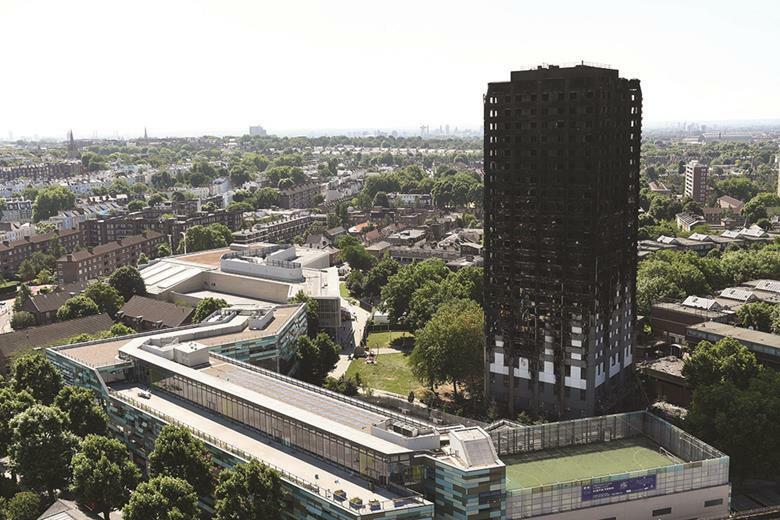 LONDON — Leading proponents of cross-laminated timber construction are optimistic that “common sense” will prevail over the continued use of the material following the post-Grenfell consultation on banning combustible cladding. Two of the most high-profile CLT specialist practices have said they are confident that expected restrictions on cladding for the exterior of new buildings over 18m tall will not extend to structural materials used for construction. …RIBA’s [Royal Institute of British Architects] contribution to the debate called for a ban on combustible cladding on external walls in buildings over 18m, arguing that European-standard A1 “non-combustible” certification should be a must for all such buildings. But the institute explicitly excluded materials that constituted a building’s “primary structure”. It said that building regulations requirement B3 already required primary structures to have adequate fire protection. Foresight and FPInnovations announced that Object Raku Technology, with its project partner Forsite Consultants Ltd., has been selected as the winner of the FPInnovations – Foresight Challenge (formerly the ARCTIC Innovation Challenge). These companies have been awarded a $200,000 contract to further advance technologies and techniques for rapidly producing more accurate and more detailed LiDAR-based forest inventories. The partners will develop and test a new hybrid LiDAR approach that uses area-based and individual tree-based LiDAR inventories. 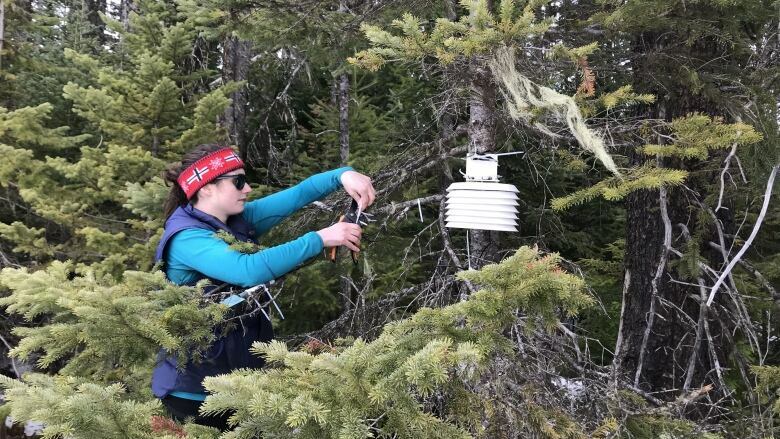 When combined with traditional survey plot and terrestrial LiDAR data, this information will accurately identify tree species, stem counts, and diameters, leading to a much better understanding of the ecological and economic value of our forests. A new report was released this week to address declining caribou populations. The new report was put out by the forest industry. It may have followed that a forest sector examination of a woodland animal might have hinted at environmental protection tactics that somehow still permitted unfettered logging. Not so. In fact the document entitled Forest Sector Contributions To Woodland Caribou Recovery called for stepping up whatever measures were necessary to bring this species – with endangered herds in multiple regions around Prince George – back from the edge of extinction. 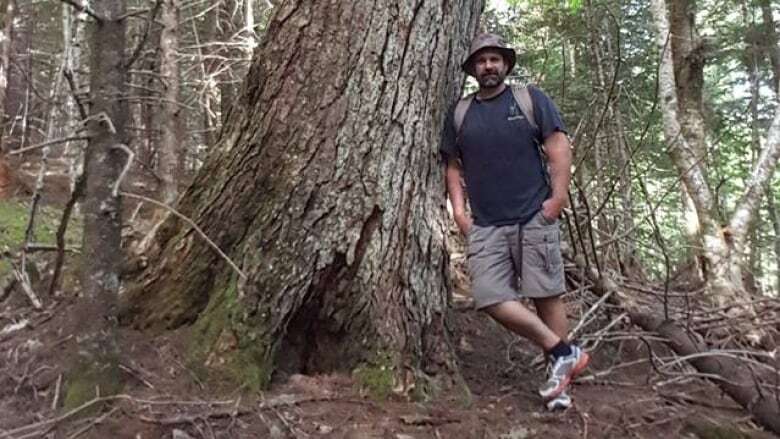 Published by the Forest Products Association of Canada (FPAC), it urged all levels of government to invest in new science, accept more input from people working out on the land, and accept historic Aboriginal accounts of wildlife trends dating back prior to written history. Comox, BC — K’ómoks First Nation, in partnership with Qualicum First Nation, welcomed TimberWest, the Canadian Council for Aboriginal Business, and the Sustainable Forestry Initiative Inc. (SFI) to the K’ómoks First Nation Band Office to announce that they will pilot the SFI Small-Scale Forest Management Module for Indigenous Peoples, Families, and Communities. This is to be implemented on Rosewall Forest Tenure Holdings Ltd, the jointly managed working forest of K’ómoks First Nation and Qualicum First Nation. “K’ómoks has been actively managing its forests for a number of years, and we have recently started working with TimberWest on market access and other sustainability initiatives through our Memorandum of Understanding,” said Nicole Rempel, Chief of the K’ómoks First Nation. 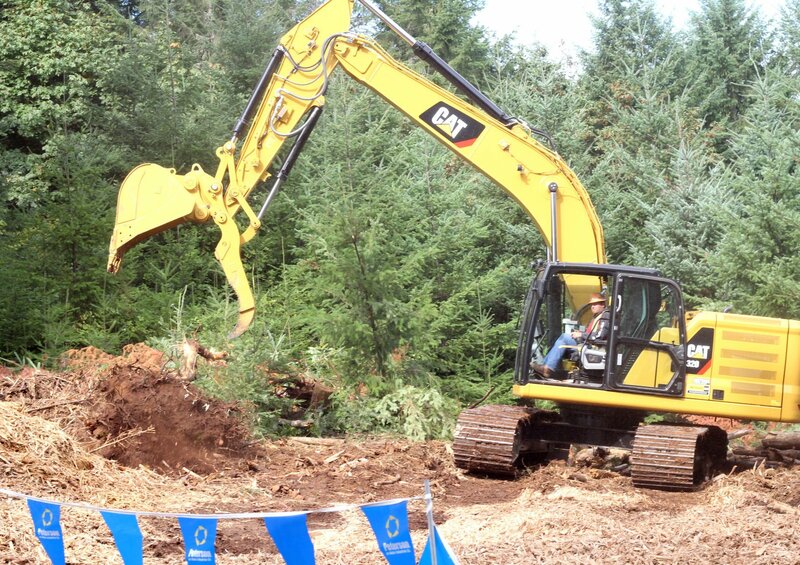 “When SFI approached us to consider this small-scale forest management certification, we knew it was something we wanted to implement, and we knew TimberWest could lend their expertise. West Fraser and other forest licensees in the 100 Mile House Forest District want to get the conversation going with residents about forestry in the area. …Hosted at Lac la Hache, Forest Grove, Clinton, 100 Mile House and Interlakes, the gatherings are designed to give attendees a chance to have questions answered and suggestions heard by the licensees operating in area forests. …“At these open houses, there really is no set agenda, so to speak,” says Rob Ballinger, the planning superintendent for West Fraser in 100 Mile House. …Norbord, Tolko, BC Timber Sales, Clinton Community Forest and other forest licensees will have booths at the events along with West Fraser. Last month a wilderness protection group released video and photos showing clearcut logging approved by the B.C. government near Clearwater, in an area it said has been selected by the federal government as critical habitat for southern mountain caribou. The Wilderness Committee (WC), a registered non-profit and federal charity, said the clearcutting is happening in an area specific to the at-risk Wells Gray herd living in the region. …The logging is located in the Spahats Creek drainage, near the southern boundary of Wells Gray Provincial Park, with the cutblock listed as R316 on B.C. government maps. According to the WC, the government of Canada estimates 3,800 southern mountain caribou remain, but populations are declining and there are 10 herds made up of fewer than 100 animals. Nova Scotia is trying to allay fears that a proposed clear cut would destroy critical habitat for endangered mainland moose, deer and other animals, saying that a process is in place to ensure the right decisions are made. WestFor holds the licence to harvest trees in the area, just east of Highway 14 between Windsor and Chester, which is made up of several individual land parcels, totalling roughly 80 hectares. The public has until Sept. 26 to comment on the proposal before the province will decide whether to approve the clear cut. Mark Kehoe, who lives on nearby Zwicker Lake in Upper Vaughan and has been hunting and trapping in the area for about 30 years, told CBC’s Information Morning that animals in the area have already lost a lot of habitat over the years. ASHLAND, Ore.– Hundreds of people gathered at Southern Oregon University’s Stevenson Union in Ashland Saturday morning for a Fire and Smoke Summit organized by State Representative Pam Marsh. Pooling some 15 local and statewide speakers together, the summit was meant to inform the public about southern Oregon’s wildfire situation. As attendee Bobbie Wild described it, the summit was, “Very illuminating. Very reassuring in some ways.” In an interview with NBC5 News, Rep. Marsh described why it was necessary to hold this summit. “It’s been a very difficult summer, we’ve suffered economically, our health has suffered, we are looking at the future trying to figure what kind of community we can be if we have persistent condition like this every year,” she said. Covering topics ranging from forest management and public health to the economy and climate change, the panel brought together groups from across the spectrum. Wildland firefighters are still the heart and soul of the battle against raging blazes, but a technology boom is playing an increasing role in efforts to snuff out flames. Today’s firefighters count on accurate data from satellites and heat-sensing instruments to chart the size, location and direction of a fire, Sean Triplett, group leader for Geospatial & Resource Information Management at the National Interagency Fire Center in Boise, Idaho, told the Elko Daily Free Press. For example, the Moderate Resolution Imaging Spectroradiometer uses two satellites that detect active fire and burned areas, then sends geographic information systems on Earth the coordinates of the spots. Firefighters and others have access to this data. The U.S Forest Service uses two aircrafts fitted with infrared cameras for more precise fire mapping. The aircrafts fly at night and at high attitudes. UTAH — As of Friday, two wildfires in Utah County had burned a combined 68,000 acres, forcing thousands of people to evacuate. The fires were threatening to merge into one large and destructive blaze under a relentless late-summer sun. Clearly, this unusually hot, dry and combustible fire season is not over yet. But the larger of these fires, the Pole Creek Fire, also is unusual in that it has drawn the ire of Utah’s lieutenant governor, Spencer Cox. On Thursday, he tweeted a blistering attack on the U.S. Forest Service for what he said was mismanagement. …When fires are raging, it makes little sense to argue over politics and long-term strategies. …But frankly, the blaming needs to stop. Only civil dialog and an effort to build coalitions around common interests will lead to meaningful solutions. On the waterfront: 15,000 tons of logs for Coos Bay, Ore. Earlier this week the 113-foot tug Gene Dunlap brought an empty log barge to Port Angeles. The tug held the barge, which is owned by South Port Lumber of Coos Bay, Ore., fast in place for a couple of days at the log boom in the west end of the harbor while the crane operator aboard the barge loaded 580 bundles of logs onto the barge. In total 15,000 tons of logs were loaded aboard the barge for delivery to the Georgia Pacific mill in Coos Bay. Next Thursday two Seaspan barges will moor to the Port of Port Angeles’ Terminal 3 and be loaded with woodchips provided by Interfor. The process will be completed a couple hours prior to sunrise Friday morning, at which time a Seaspan tug will take the barges under tow to the Catalyst pulp and paper mill in Crofton, B.C. 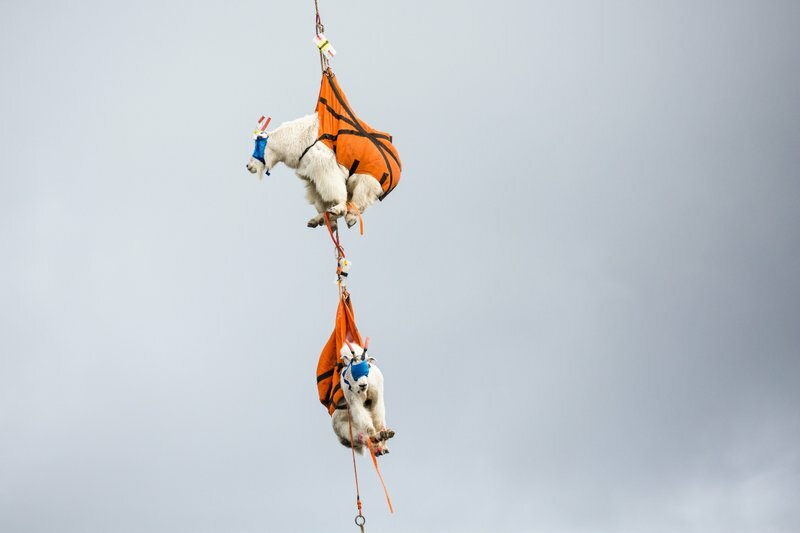 SEATTLE — Helicopters and trucks are relocating hundreds of mountain goats from Olympic National Park in an effort officials said will protect natural resources, reduce visitor safety issues and boost native goat populations elsewhere in Washington state. …The animals were blindfolded, put into specially made slings and airlifted to a staging area in the park. They were examined, collared with a tracking device, given fluids and then began a journey by truck and ferry to another area in the North Cascades. From there, they were flown in crates and released into alpine habitat. A plan approved by park officials in June calls for about 375 goats to be moved to habitat in the North Cascades, where the animals are native. Park officials estimate between 275 and 325 goats that can’t be caught will eventually be shot and killed. Most years, the Pacific Logging Congress has its annual conference in some travel destination like Hawaii or San Diego. But once every four years the organization holds a Live In-Woods Conference out in the forest where exhibitors can demonstrate cutting-edge equipment in a variety of settings. This week Oregon State University’s research forest near Adair Village hosted the event, the first time it’s ever been in Benton County.Jeff Wimer, an OSU instructor and the Pacific Logging Congress’ 2018 president, said the event included nine live demonstrations and 35 static displays. The event was held Thursday through Saturday, with the first two days being oriented towards professionals. On the final day was open to the public. “It’s an opportunity to educate the public, loggers and officials like county commissioners,” he said. PORTLAND, Ore. — Oregon fish and wildlife officials have rejected a request from six conservation groups to protect a small predator that inhabits old-growth redwood forests. The Oregon Fish and Wildlife Commission on Friday denied the petition by the conservation groups to protect the Humboldt marten under the Oregon Endangered Species Act. The state allows the predator that’s about 2 feet (.61 meters) long to be trapped for its fur. The conservation groups say the martens could be wiped out from trapping and roadkill. The species was thought to be extinct until it was found in redwoods in 1996. It’s believed that about 200 individuals remain in two locations in Oregon. In response to the Aug. 31 letter to the editor, “More logging in forest would curb wildfires,” I must say this is totally erroneous. Past logging practices are part of the reason why wildfires are so devastating. The large majority of catastrophic wildfires have occurred on either land that has been logged, lands that could be considered marginal timber lands, those without enough timber to be financially feasible, and brush, scrub and grass lands. Old-growth forests, while they do have fires on occasions, even stand replacement fires, tend to burn less often and the older trees are most likely to survive, unlike logged off lands where the older trees are cut down and the new growth are all the same species and same size, which burn more readily. Interior Secretary Ryan Zinke recently deemed environmental organizations “terrorist groups” responsible for the worsening wildfire situation in California. This exemplifies a widespread effort to mislead the public into supporting the timber industry over outdoor recreation and ecological conservation and has national implications for forest policy. The worsening wildfires in California occur at boundaries between urban and forested areas. Forest thinning is appropriate to reduce fire risk near human-populated areas. However, this is not where environmentalists oppose logging. Wilderness areas are, by definition, far from populated areas and allowing them to burn would not destroy homes or businesses. Not only that, but fire serves an important ecological role by clearing the understory, providing room for new growth. After two years and $2 million worth of studies, the Forest Service is ready to plunge headlong into thinning 64,000 acres to protect the watershed of the C.C. Cragin Reservoir. The Coconino National Forest is seeking bidders to harvest 86,000 tons of saw timber and pulpwood in a 3,500-acre chunk of the watershed. The minimum bid is set at roughly $114,000. Hopefully, a logging company will bid on the project — although efforts to find contractors elsewhere for similar thinning projects have lagged years behind the original schedules. Even if the Forest Service quickly finds a bidder, it will likely take five years or more to work through the 64,000-acre watershed — with the possibility of a wildfire disaster looming every season. The project represents a ground-breaking effort to protect a town’s water supply by restoring the forest health across an entire watershed. [VIDEO STORY] Jasen Stock, Executive Director of the NH Timberland Owners Association, and Karen Bennett, a forestry specialist with UNH Cooperative Extension, sit down with Fred Kocher to discuss New Hampshire’s forests and the forest industry. Knowing where deforestation is happening is critical for efforts aimed at stopping or slowing it. Major breakthroughs toward this goal have been made over the previous few years, with NGOs harnessing the power of satellites to monitor and identify canopy loss in forests around the world. Now, a new study sheds more light on forest loss, determining the primary causes of deforestation around the world. In 2014, World Resources Institute (WRI) and partners launched an online platform to help governments, companies, and NGOs fight deforestation on a global scale. 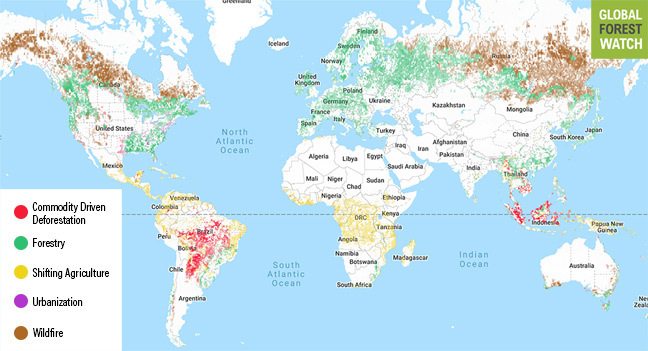 By taking advantage of the latest satellite and cloud computing technologies, the platform, called Global Forest Watch monitors the world’s forests in near-real time, providing tools, datasets, and maps to track forest loss. But not all causes – or “drivers” – of forest loss are equal in terms of impact, with some much more destructive, permanent, or preventable than others. PAYSON, Ariz. – A wildfire sparked by an ATV crash has left four people missing and a fire that crews are currently trying to put out in the Tonto and Coconino National Forests, according to the Coconino County Sheriff’s Office. The sheriff’s office said on Saturday just before 4:30 p.m. they received a call to help with a wildfire along Forest Service Road 300. The fire is being called the “September Fire.” This fire is believed to have been caused by an ATV crash after an ATV went off the service road and falling up to 400 feet down the cliff face. Four people who were out riding ATVs in that area were reported overdue last night. Now, crews are battling a 10-acre fire that has made it too dangerous to get to the crash site to identify possible victims. Apple’s newest smartphones may not have received all-round praise, but its latest environmental initiative surely should. On Friday, the world’s most valuable company said it is investing an undisclosed sum in a project in Colombia to restore mangroves and sequester as much as 17,000 metric tons of carbon dioxide in two years. That’s equal to the emissions that the fleet of vehicles updating Apple Maps will produce over the coming decade. …A 2016 study of 3,000 deforested mangrove patches found that most of them were being cut down for the use of growing rice, palm trees, or expanding fisheries. …There are six so-called “negative-emissions technologies” that can help us get there… Among those negative-emissions technologies, mangrove restoration would be classed as reforestation. The Legislature split the difference last week in handing out corporate welfare paid for by New Hampshire ratepayers.The House overrode Gov. Chris Sununu’s veto of a bill mandating costly biomass power without a vote to spare, while the boondoggle sailed through the Senate. …The Legislature took some small steps to lower New Hampshire’s high electric rates this session, but then ran backward to push subsidies for wood-burning plants. Timber harvesters make sympathetic political allies, and far too few lawmakers had the guts to say no to ratepayer-backed handouts. There is no guarantee that New Hampshire’s wood-fired power plants will be able to stay open, even with the power purchase mandates. If you’ve ever walked in a rainforest or even a greenhouse, you’ll know that the air inside is heavy with moisture. …We also know that many big forests, and rainforests in particular, tend to get more rain than surrounding areas — hence the name. Although people have guessed that forests could help make rain, it’s always been a chicken-or-egg scenario: do forests make rain or do areas with high rainfall grow forests? An expanding body of evidence supports the idea that forests, in the right conditions, not only make rain locally but also hundreds of kilometres away. In Australia, we’ve cut down nearly 40 per cent of our forests in the past 200 years, leaving a fragmented landscape in their place. 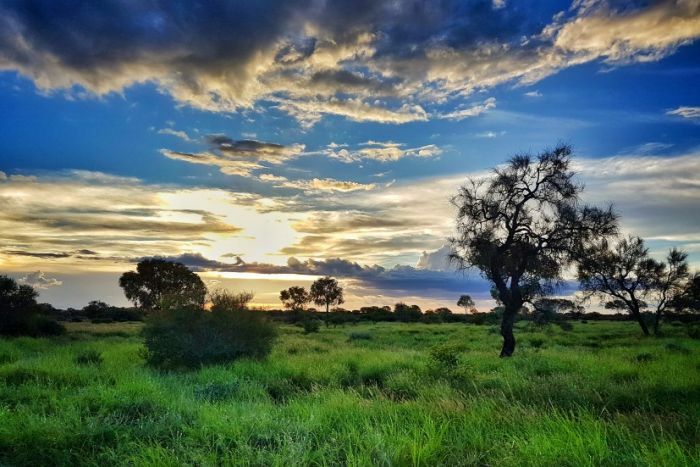 In Queensland, more than one million hectares have been cleared since 2012, and New South Wales and the Northern Territory have also recently increased logging.